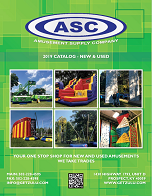 Amusement Supply Company is happy to list this Single Bungee unit. 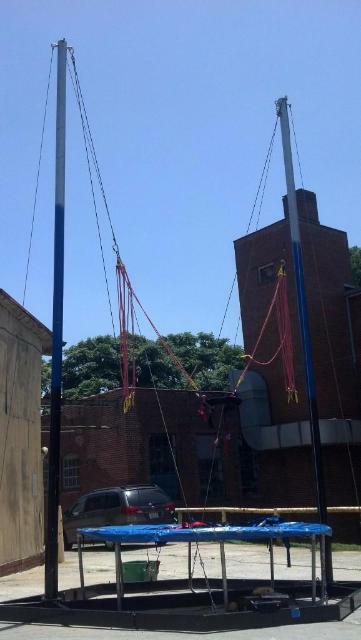 This Bungee Trampoline was built by Euro Bungy and it is in Very Nice condition. This unit is located in Prospect KY at the Amusement Supply Company warehouse. This unit will come complete with Bungee Cords, Harness, Ropes, Pullies, Swivels, Winch and the Trampoline. For more information on this unit contact Geoff Schutz at 502-228-4595. I would also entertain trades. We are always looking for Mechanical Bulls, Rockwalls and zip lines. Orca Coast is the world leader in Soft Play and Playgrounds. This Soft Play area is in 9.8/10 condition and an absolute must for any Fun Center. The left side has a glider, a giant slide, (orange and yellow) a ball push through area and a bridge. The right side has a tube push through area, a blue slide, a giant ball area, and another tube. Look at the pictures and imagine how much FUN kids will have on this! Families literally stay for hours pumping money into food and arcade games because the kids can't get enough. Also great for birthday parties and school groups and church groups! This thing is mint . It has been a money maker for business and the kids absolutely love it. It is dissassembled and located in NY. Click the button below to add the Single Station Eurobungy Trampoline to your wish list.